For studio at home or on the road - this set gives you everything around the tripod. The mantona Scout tripod not only is very stable, but also furnished with many convenient elements. 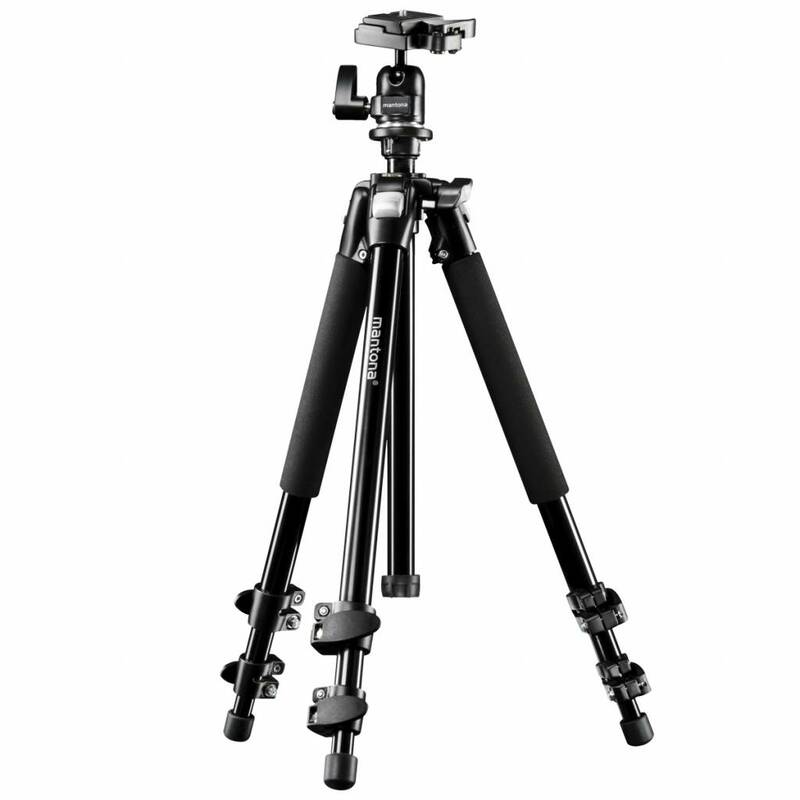 For studio at home or on the road - this set gives you everything around the tripod. 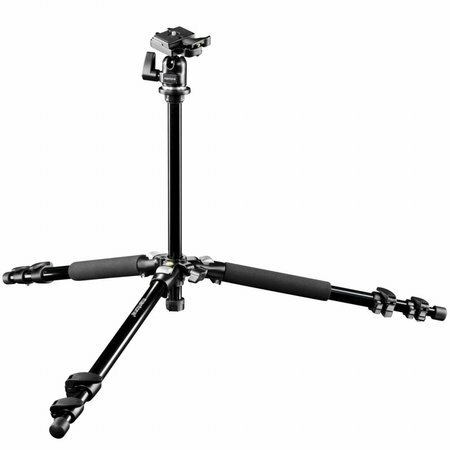 The mantona Scout tripod not only is very stable, but also furnished with many convenient elements. A ball head is already included in the scope of delivery. 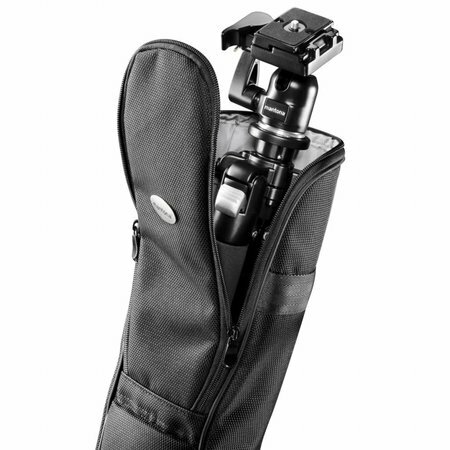 A simple to change quick-release plate and a robust tripod bag with high carrying comfort additionally complete the set. 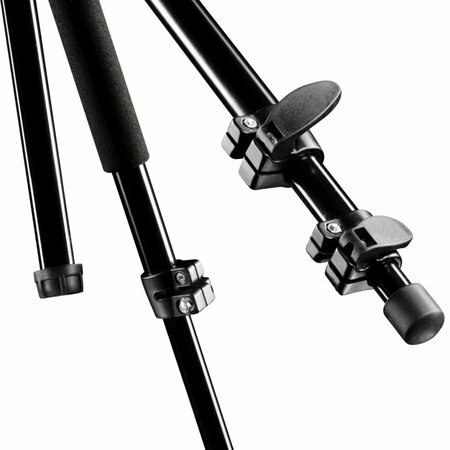 The twofold extendible tripod mantona Scout which is made from anodized aluminum is a versatile solution not just for beginners. 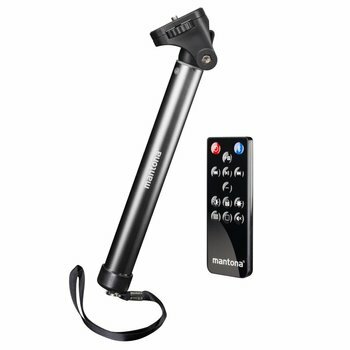 It is easy to use, has convenient functions and is at the same time sturdy and compact. Like all products by mantona it convinces with a great price/performance ratio. The tripod legs of the mantona Scout can be extended steplessly particularly quickly due to the sturdy clips. The fasteners can be adjusted to run more smooth or tight with the included Allen key, according to your individual requirements. The uncomplicated leg angle adjustment ensures additional stability. That way the tripod is ready for macro shots within moments. 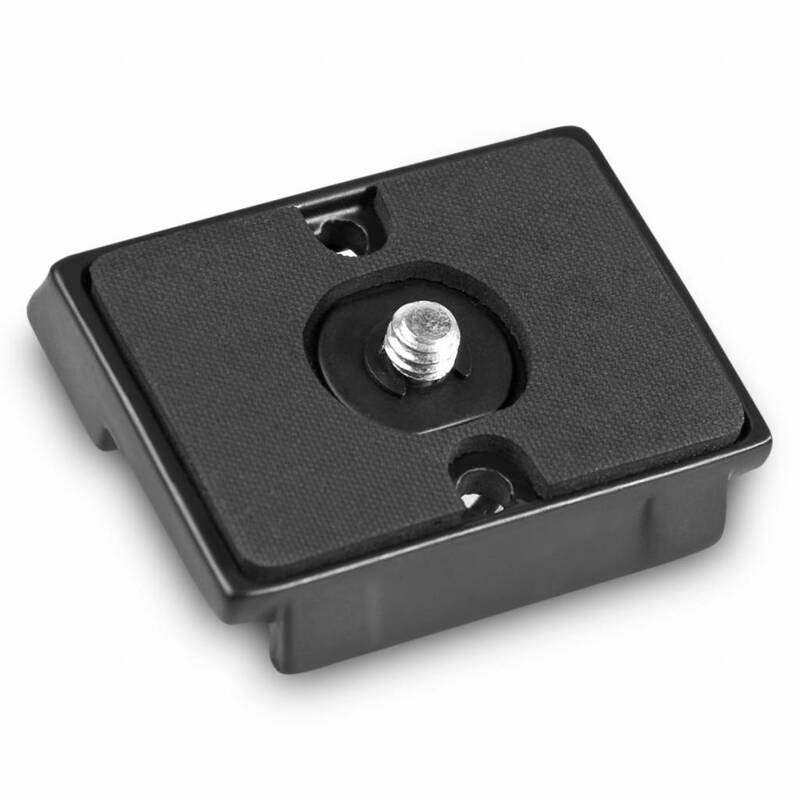 The rubberized tripod feet ensure a secure stand on various surfaces. For ground-level working the mantona Scout offers a particularly convenient option besides adjusting the leg angles: The center column can be completely removed and be remounted on the tripod with the ball head facing down. 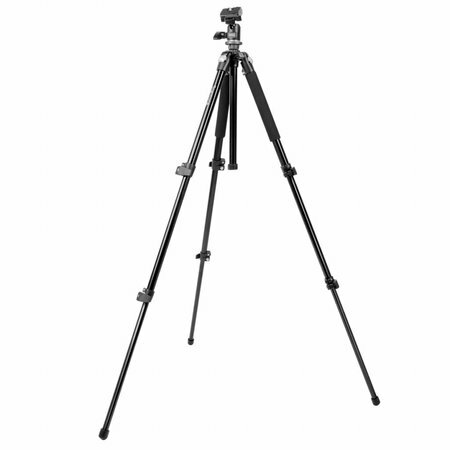 The photographer"s creativity is not limited with this high-quality tripod. 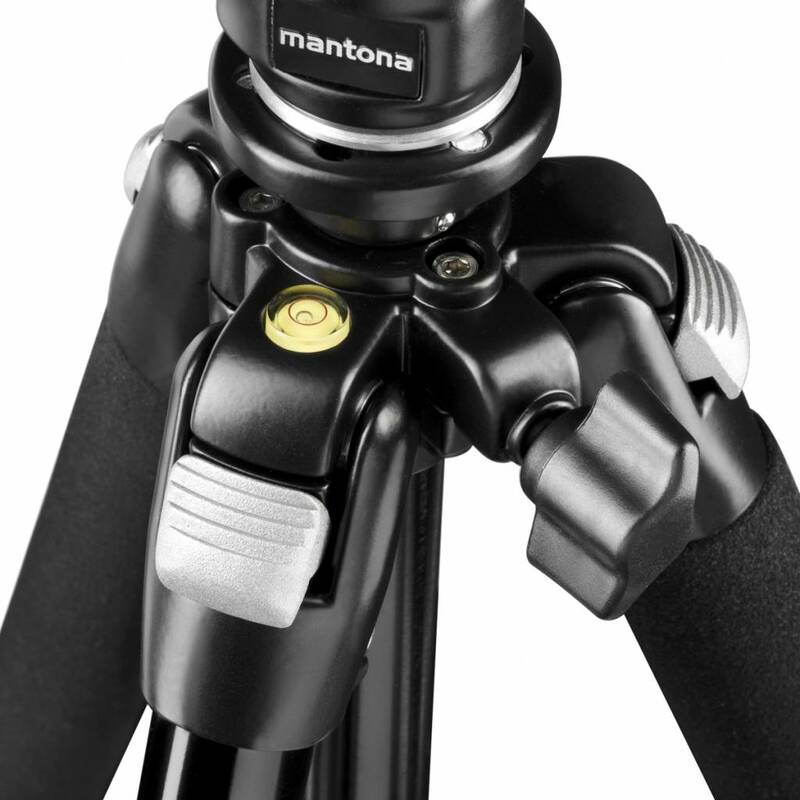 The mantona Scout is delivered including ball head and quick-release system. The camera plate is normed and can be used with all common tripods. 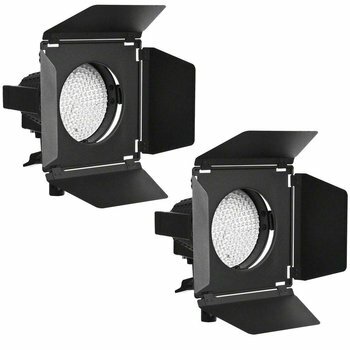 The ball head allows quick reacting to changing light conditions. It can be turned in all directions without problems. 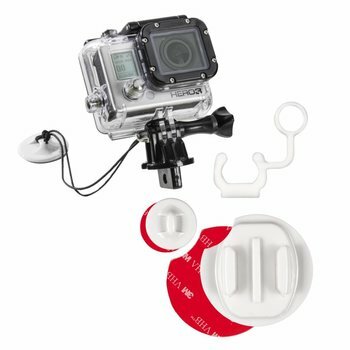 The quick-release plate is rubberized and therefore stays attached to the camera reliably. An additional safeguard prevents the plate from loosening from the camera. 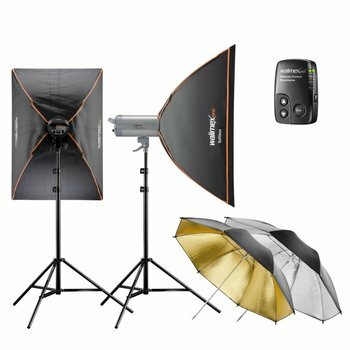 With this set, beginners and advanced users, who value quality, are perfectly equipped. In the elegant tripod bag by mantona, your tripod is safely stored in. 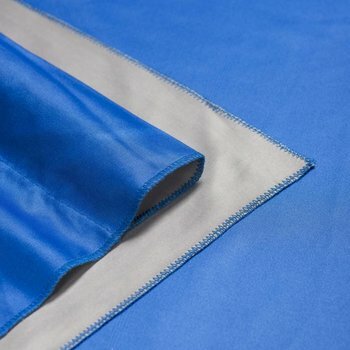 The material is sturdy and abrasion-proof. The inner padding and the reinforced bottom protect the tripod against impacts and dirt. An extra compartment allows you to store small items separately. The padded grip makes a high comfort of transport possible. A strap for carrying the tripod on your shoulder is also included. 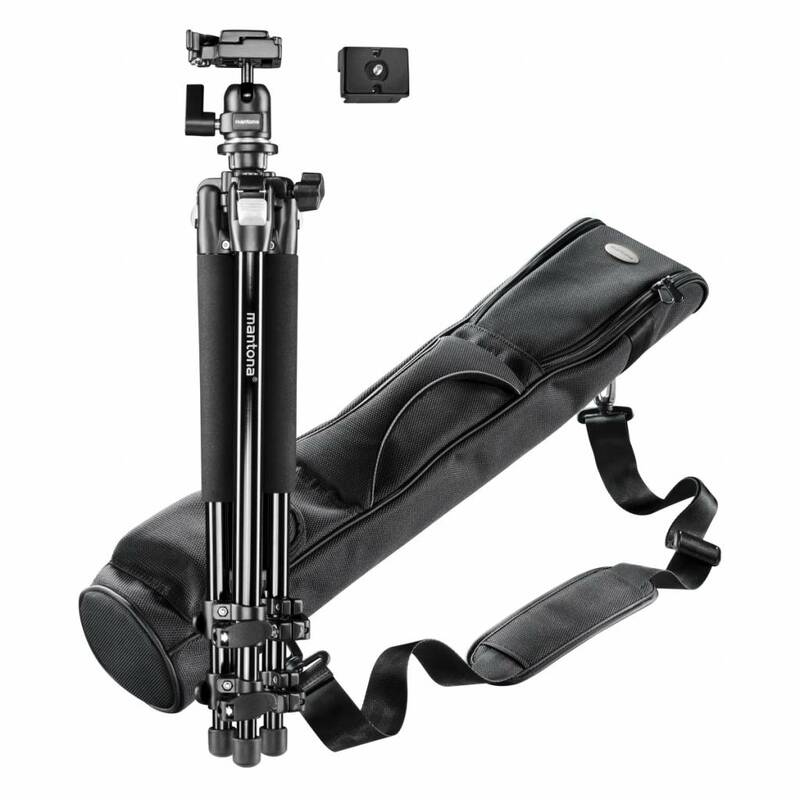 The tripod bag fits the mantona Scout Tripod with ball head perfectly, but it can also be used for many other tripods with a transport length of up to 63cm.